Whether you’re building a new hospital or renovating a clinic, we work quickly, discreetly, and precisely to get your project done fast and right. When installing replacement windows, we maintain your patients’ privacy, making sure to not disturb your facility, employees, or patients. Keep your facility running, uninterrupted. Replacing older windows and doors is essential for an efficient, clean, and quality healthcare building, but it can seriously disrupt your patients and their families, and your employees. We work quickly and on a flexible schedule to ensure we’re not disturbing or hindering your everyday operations. Effortlessly meet and exceed building requirements. As requirements for hospitals and other medical buildings continue to become more complex and specific, you need a contractor you can trust to deliver a quality solution. We provide high-quality, well-insulated windows and doors that keep your facility safe and running smoothly, offer your patients valuable natural light, and lead to a superior healthcare facility. Marshfield Clinic was planning a new addition to be completed on an aggressive timeline. There were many facets of this project including the installation of sun shades to reduce cooling costs and using artistic glass to identify different areas of the facility. Memorial Medical Center, located in Ashland, WI, was adding a new unit to its existing facility to serve oncology patients. Without local oncology services, patients who required this type of care were driving hours for the appointments. The facility addition relieved the stress of travel from these patients. 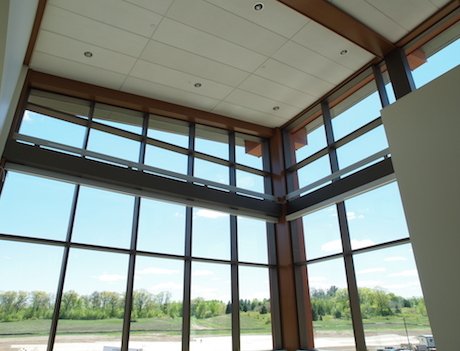 Rice Lake Glass was tasked with replacing the windows and addressing a nagging condensation issue while maintaining a safe, private, and quiet environment for patients, visitors, and staff. 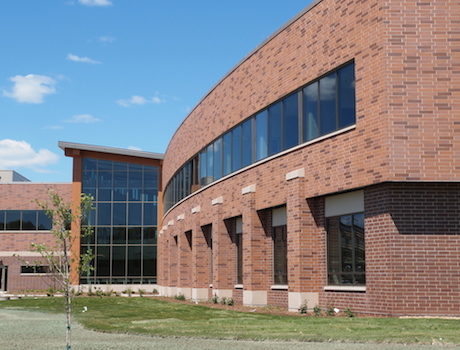 At Rice Lake Glass, we have the experience and know-how to design the windows and doorways for your next healthcare building to ensure a successful project outcome. And thanks to our in-house fabrication, we shorten lead times and get to your site faster.